Wholesale Trader of a wide range of products which include cutting tools. We offer a wide range of Cutting Tools that comes in different dimensions as per the client’s specifications. 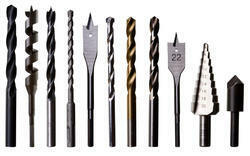 Precision engineered these cutting tools are known for their higher efficiency, sharpness and perfect finish.